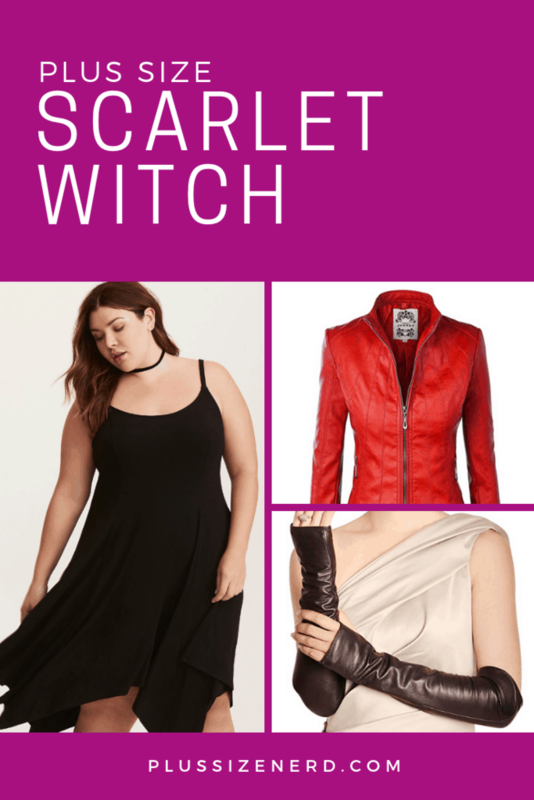 I put together a plus size Scarlet Witch outfit that is more casual cosplay than it is a plain, ol’ outfit. 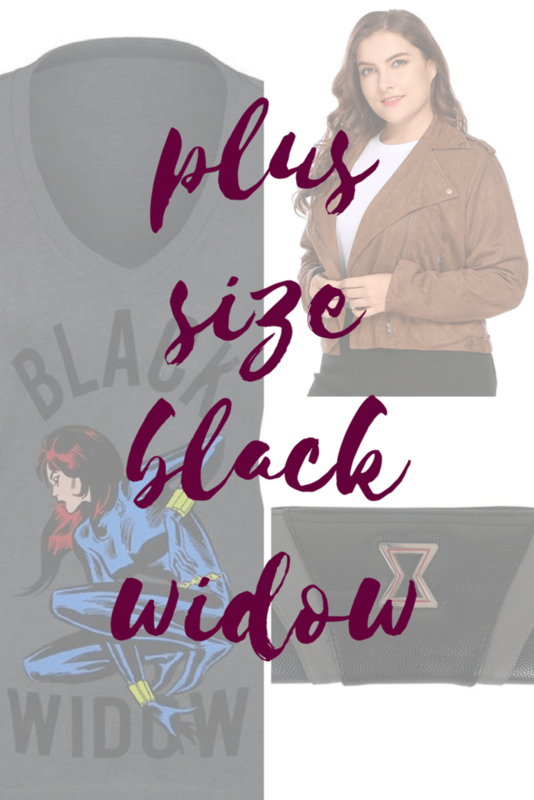 I dug deep through online stores to find the perfect touches, like Scarlet Witch’s combat boots and her peek-a-boo bra. 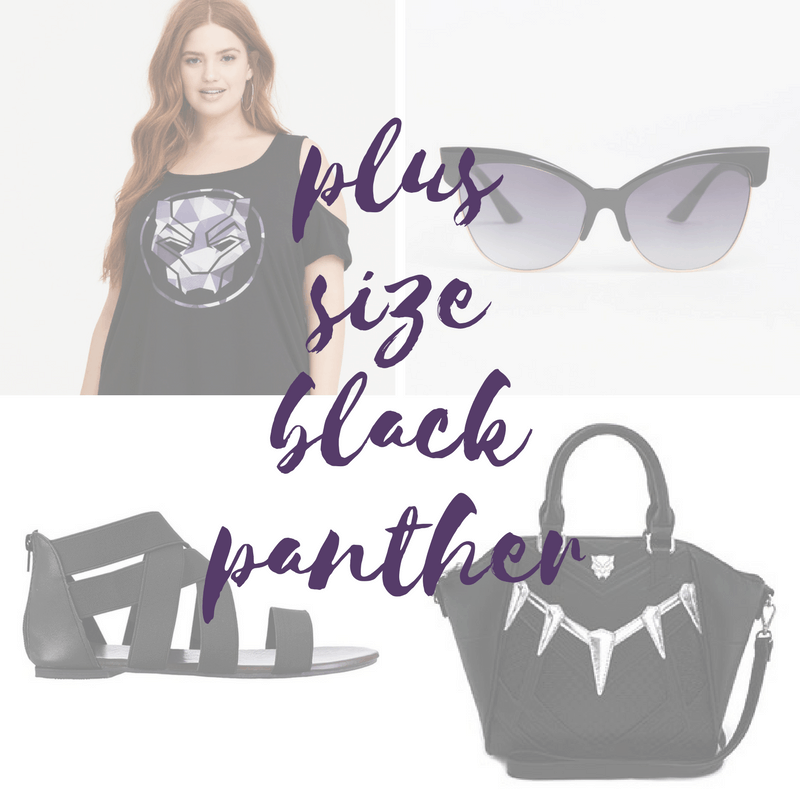 Wear this plus size Scarlet Witch ensemble to see Avengers: Infinity War or just a great night out! 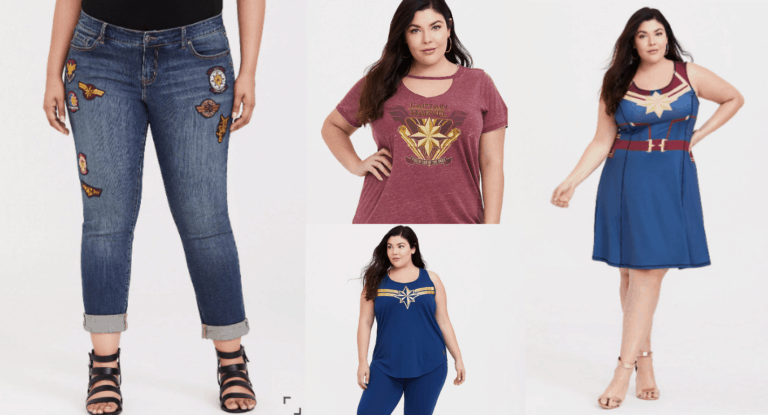 All of these clothes are available in plus size (even if the jacket doesn’t look like it). 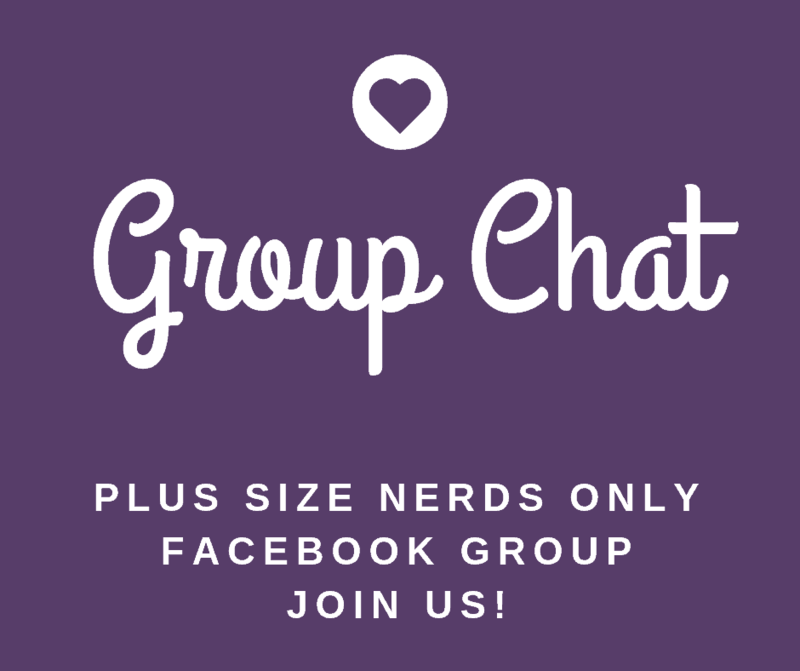 Disclosure: Some of the links in this post are affiliate links. This means if you click on a link and purchase an item, I will receive an affiliate commission, at no extra cost to you. However, I only recommend products or services I believe will add value to the lives of my readers. Wanda Maximoff, a.k.a. Scarlet Witch, comes into her own in Avengers: Age of Ultron. She goes from being a Hydra lackey to being a full-fledged Avenger. She’s smart and tough, and this slightly punk rock outfit shows it. #1 Black Jersey Handkerchief Dress – Talk about your LBD! This cute black dress from Torrid has princess seams to flatter your figure. The handkerchief hem is also flattering because it keeps the eye moving. #2 Scarlet Witch Pendant Necklaces – Wanda Maximoff wears two pendants in Avengers: Age of Ultron. Little Wolf Cosplay on Etsy has both available, to buy separately or together. 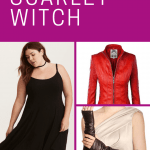 #3 Lock and Love Red Leather Jacket – Could you find a more perfect jacket for a Scarlet Witch casual cosplay? I think not! The collar and cut is very similar to Wanda’s own jacket. This plus size red leather jacket on Amazon is also quilted. #4 Deep Navy Lace Push-Up Demi Bra – Wanda wears a navy blue, polka dot bra under her strappy black dress. I’ve opted for a bra with lace from Torrid to make the outfit a little sexier. This bra is so pretty, you won’t mind having it peek out. #5 Warmen Leather Fingerless Driving Gloves – These leather arm warmers from Warmen on Amazon gives Wanda’s outfit a touch of punk rock. These are genuine nappa and suede leather. 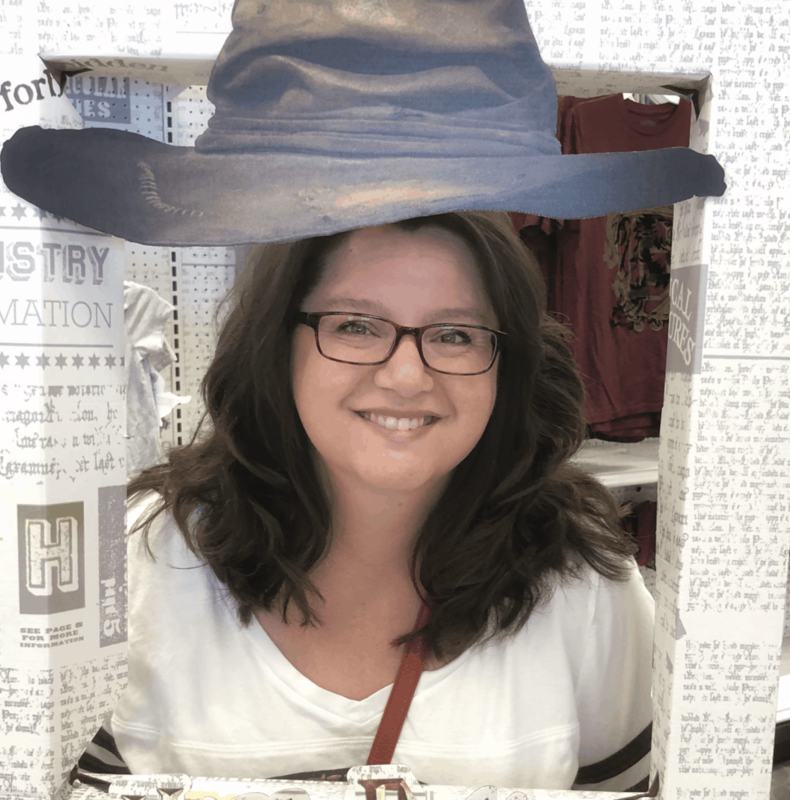 #6 Combat Boots – Continuing with punk rock touches, these Embossed Rose Faux Leather Combat Boots from Torrid are perfect. I like shorter boots because my calves are usually too big for taller boots. $7 Ribbed Knee-High – These ribbed knee-high black socks on Amazon pair nicely with these combat boots. They stop just below the hem of the dress, again keeping the eye moving up and down, which is always slimming. These knee-highs come in a 2-pack. What do you think? 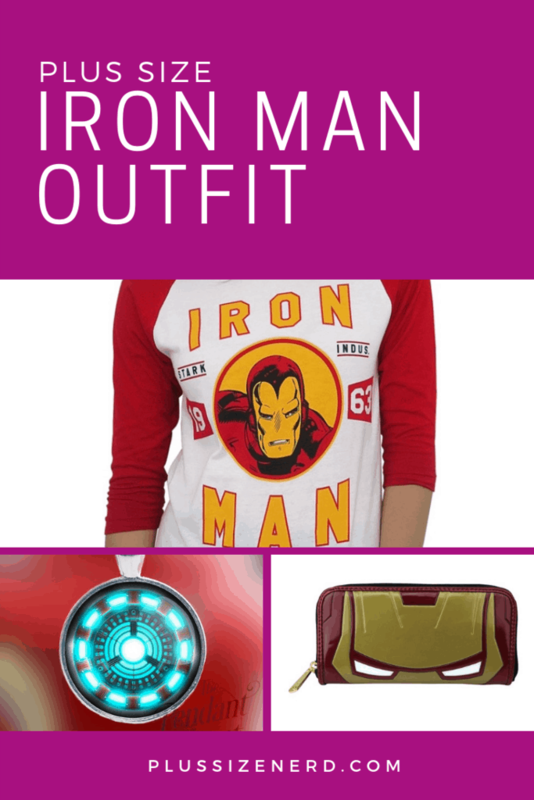 This outfit is more like casual cosplay than geeking out with a character t-shirt or something. 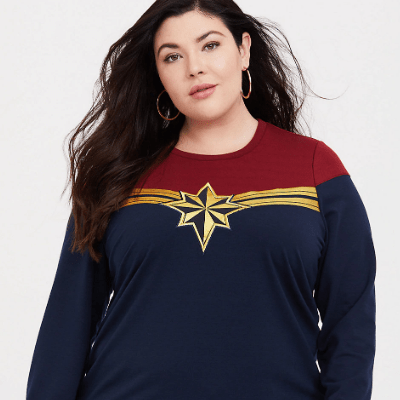 Frankly, I’d love to wear this plus size Scarlet Witch outfit just about anywhere, not just to the Avengers: Infinity War movie. 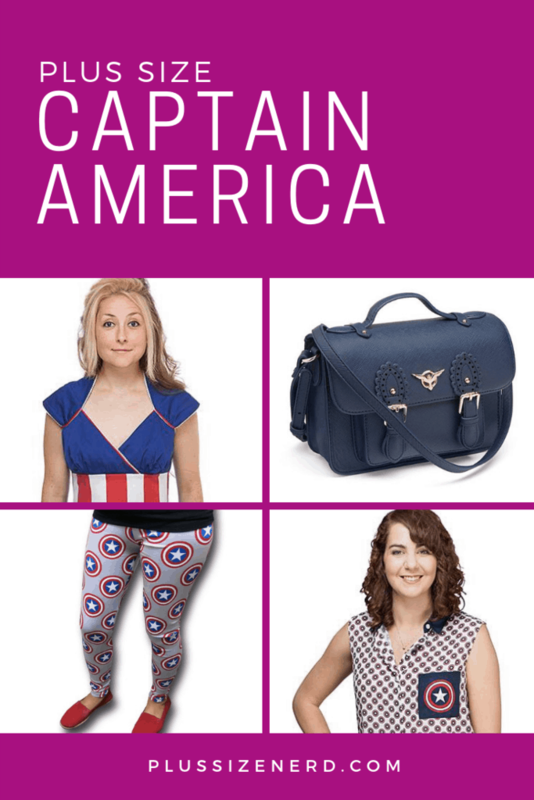 I’d love to see your casual cosplay outfits. 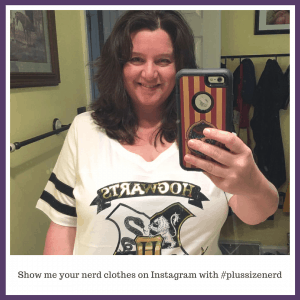 Post a pic on Instagram using #plussizenerd so I can like it and share it! I love this. Scarlet Witch is a great character to cosplay! I love how they redesigned Scarlet Witch in Avengers. She’s wayyyy less sexual and that outfit looks cute and comfy on anyone. I couldn’t agree more! 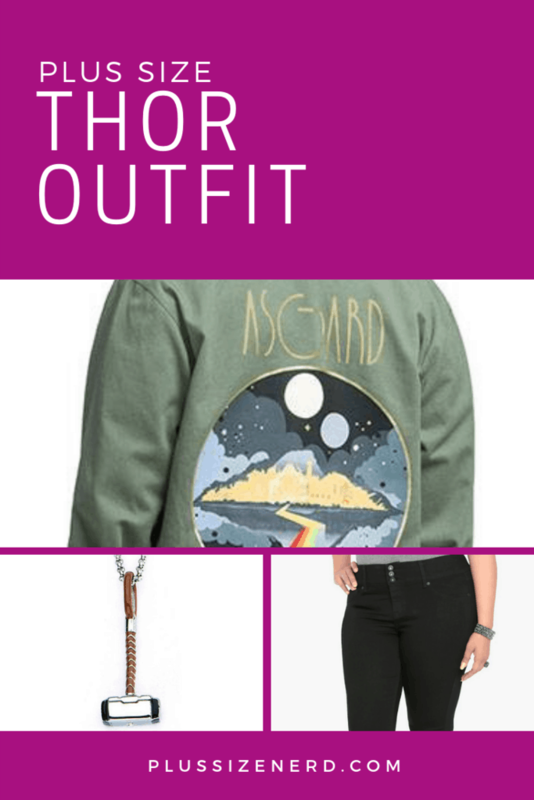 The jacket, especially, is flattering.